The journey to your summit is what it's all about – whether it's a mountain or a personal best. 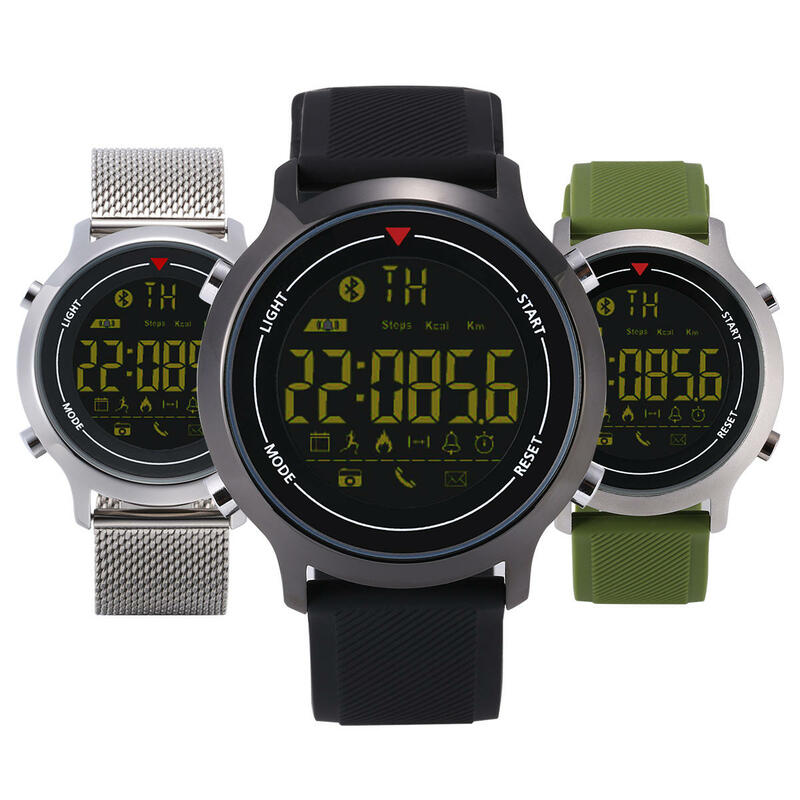 The is Zeblaze VIBE your ultimate watch for sports and adventure,Connect your watch wirelessly to your smartphone, and use the free App to adjust the watch on the go and visually enrich, relive and share your adventure. With battery life up to 8,760 hours, in combination with inbuilt dual sensors, Zeblaze VIBE can accurately measure your walking distance (KM), walking steps (step) and body energy consumption (calorie) for 24 hours. You can activate the luminous dial under dim light, which has sunrise time and sunset time to give you knowledge of the remaining daylight hours at any time. With mineral crystal glass and 316L stainless watch bezel, matched with 22mm high-tension silica gel watchband and in streamlining design triggered by speed race, Zeblaze VIBE can withstand severe tests and deal with all kinds of adventures and challenges at any time. Zeblaze VIBE wrist watch has waterproof performance high up to 5 ATM/164 ft, the professional-level wrist waterproof watch is delicately forged for those users with meticulous waterproof requirement and thus can satisfy the waterproof demand in your daily life.